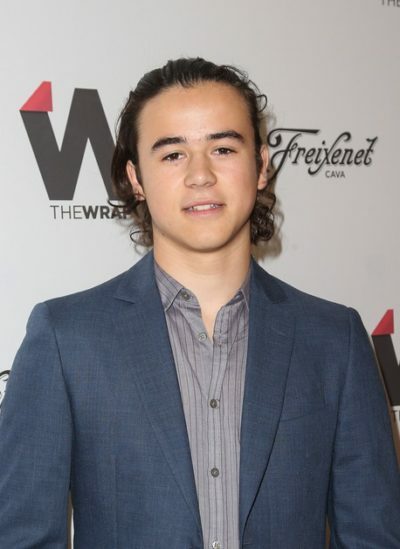 Place of Birth: the foothills of the Colorado Rockies, U.S.
Keean Johnson is an American actor. He co-stars in the film Alita: Battle Angel. His father is British and his mother is American. His mother is of three quarters Latino descent. Through her, Keean is of one eighth Mexican and one quarter Chilean ancestry. Keean’s maternal grandfather was Manuel Federico Alonso (the son of Manuel Federico Alonso and Sylvia O’Dell Case). Keean’s grandfather Manuel was born in Asheville, Buncombe, North Carolina. Keean’s great-grandfather Manuel was Mexican, and was born in Monterrey. Keean’s great-grandmother Sylvia was born in North Carolina, the daughter of Grover Franklin Case and Metta Fairchild. Keean’s maternal grandmother is Kena Avendano (the daughter of Claudio Hernan Avendaño Gómez and Rebeca Lucero). Claudio was born in Santiago, Santiago, Región Metropolitana de Santiago, Chile, the son of Francisco Javier Avendaño Álvarez and Julia Gómez Villanueva. Rebeca was also born in Santiago.